1. Click on the radial button to select "Full Transfer". 2. From the drop down, choose your broker where you have your account to transfer. (it should identically match the name on your SogoTrade account, e.g. "John Doe"). 4. 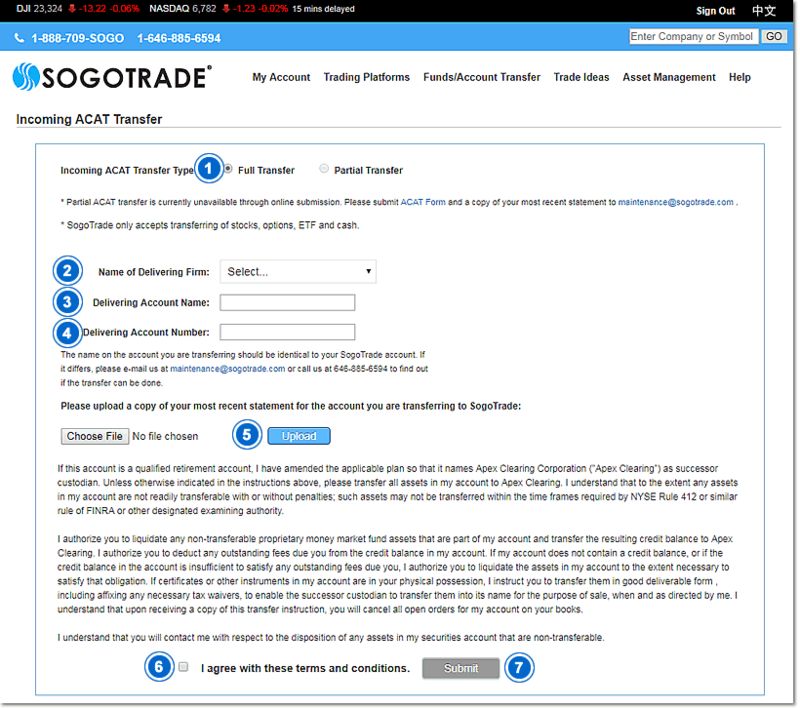 Enter in your account number for the account you wish to transfer to SogoTrade. 6. Read the terms and condition paragraph, and acknowledge consent by clicking the box "I agree with these terms and conditions". 7. Finally, click the "submit" button and--pending no entry errors--the funds in your other account will successfully be transferred to SogoTrade. 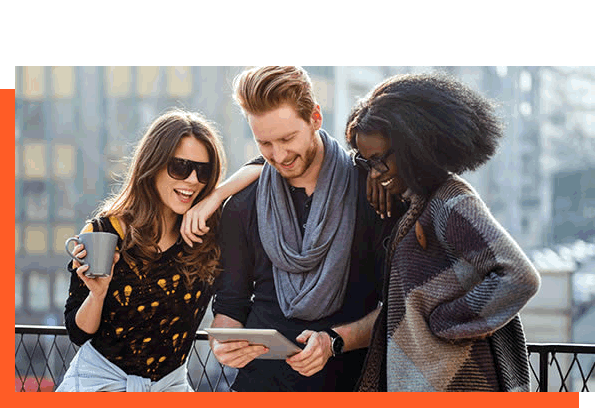 IT'S FAST AND EASY TO OPEN AN ACCOUNT ONLINE, WITH NO PAPERWORK REQUIRED. 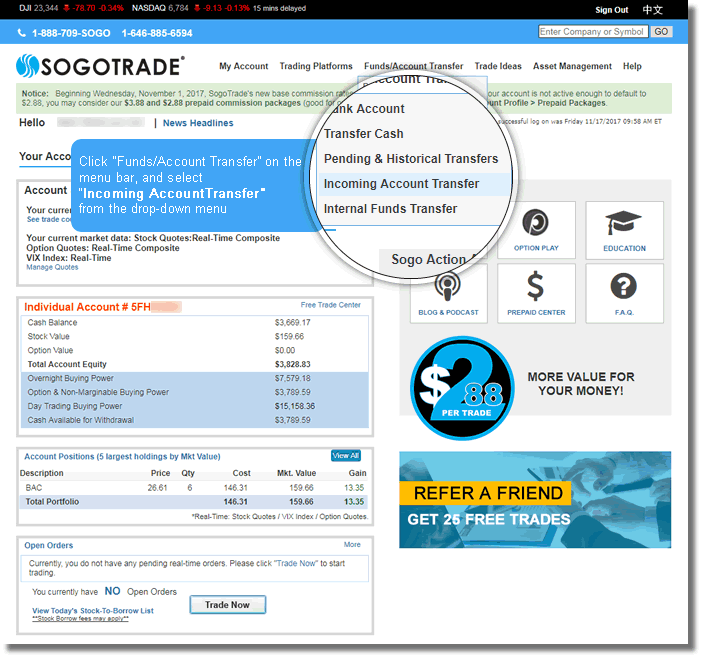 TRANSFER YOUR CURRENT BROKERAGE ACCOUNT TO SOGOTRADE NOW! The new, better way to trade! SogoTrade's senior management executives came from online brokerage firm Scottrade, Inc, and bring forth years of financial services experience. They understand the importance of "customers first" and have instilled this exceptional, personal service offering along with low pricing and powerful trading tools to bring you the best choice in brokerages. 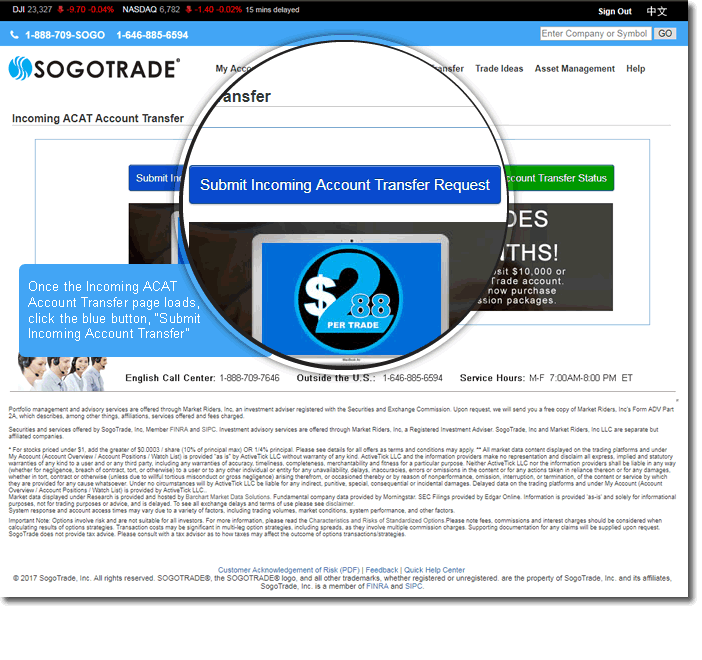 Open an account today and take advantage of what SogoTrade offers!